Do you recall, as a child, being enthralled by a drifting cloud, the babbling of a stream, the wandering of a ladybug? If so, then you've already had a taste of natural awareness. Known and revered in many contemplative traditions, natural awareness transcends even these wondrous childhood moments. It has been described as a profound "awareness of awareness" - an effortless and panoramic state of fully being at our deepest levels. Created for those new to meditation and long-time meditators alike, The Little Book of Being shows us how to discover this free-flowing and expansive side of mindfulness - no formal sitting practice required. 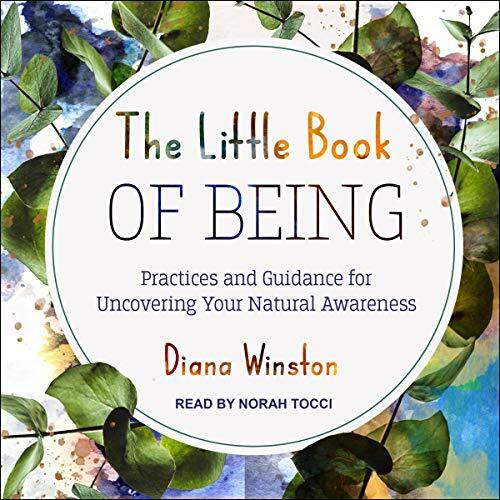 This concise and friendly guide takes us through 73 "mini-chapters" that explain natural awareness and help us experience it via simple and enjoyable explorations to bring welcome moments of peace, connection, and spaciousness to our often distracted and stressful lives.